vertical flash point | dedicated to women and the outdoors. It’s been 8 months since I’ve written, and I think perhaps its time to get back into the swing of things. Since I moved to Utah in July I’ve worked three different jobs, and have done a bit of traveling. I wasn’t sure what to expect when I moved out here. I heard the scenery was beautiful, and that there was a pretty decent outdoor culture, but I did not expect to experience the discrimination I have since moving here. I suppose it was a bit of a culture shock, moving from a liberal tree-hugging city, where people (SHOCKER) recycle…. to one where wearing tank tops is frowned upon, and being an aggressive and intelligent woman is ground for cruelty. I moved here because I was offered an opportunity to work at a residential treatment center & boarding school as a weekend staff. I was told I would have the opportunity to work closely with kids and plan outdoor curriculum, as an assistant to the weekend lead. Some of this held true, and I had an amazing experience working with and mentoring autism spectrum boys. However, I wasn’t given the respect any compassionate and intelligent person deserves. Certain staff members held my personality with disdain, which eventually led to my retirement from the school. I have never been utterly disrespected because of my values, beliefs, and ethics regarding basic human needs, and the pursuit of happiness. I’ve learned a lot since moving to Utah, and unfortunately have had to experience how awful people can be to one-another just because they aren’t willing to value and respect differences. Since the school debacle, I took up working at two different ski resorts (and experienced yet MORE discrimination from one of them….) and have been accepted into graduate school out east. 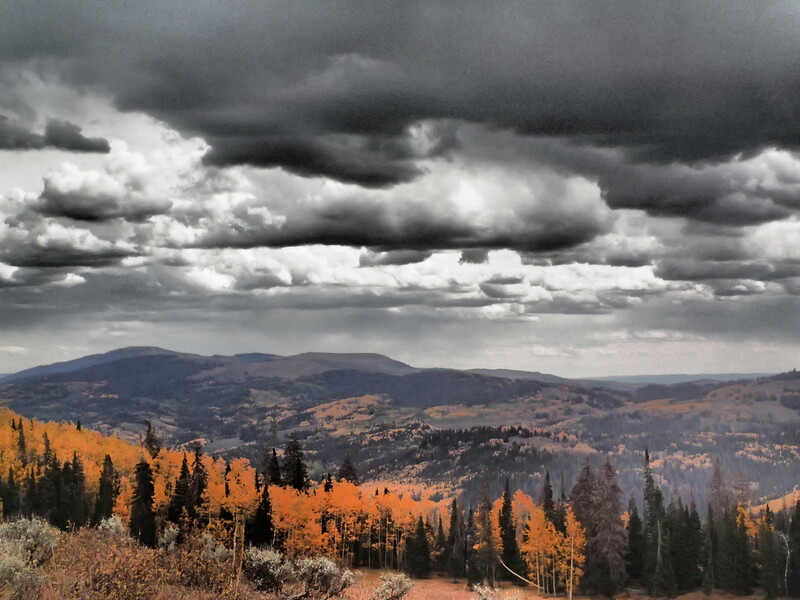 I cannot thank Utah enough for making me a ‘harder’ person, but also for letting me experience its undeniable natural beauty. I’ve gone from a ‘green circle’ snowboarder to a double black powder hound, and a novice climbing instructor to an entry level guiding professional. I’ve explored a few different outdoor destinations since I’ve been here, and will (hopefully) catch up on some adventure writing this summer. Stay tuned. SCUBA diving wrecks …is pretty awesome. I’d only been to the Keys once before, and the day we went diving we had horrible visibility. This time around I was determined to get out there, find the good days and push through the bad. 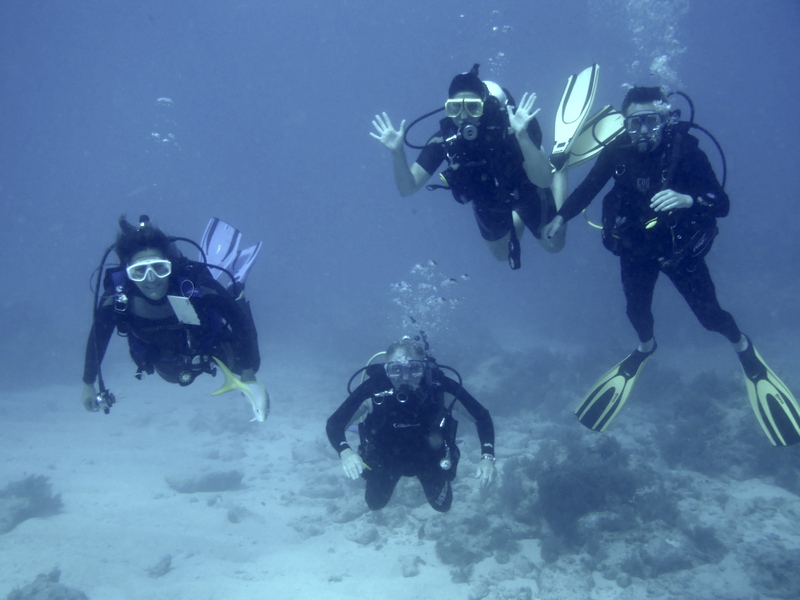 I’ll spare you the nitty gritty, but four of us ended up diving multiple days in a row. Family stylin’. And I ended up getting my PADI Advanced Open Water Dive certificate. Win! In order to dive wrecks you are supposed to already have one, but thanks to ‘working on it’ we got through a little loop-hole. We also went with multiple dive masters and rescue divers because apparently my little sister knows people. It was sick. I need to go back. The feeling of the water rushing over you as you sink to the bottom, holding a line so the waves don’t take you out to sea. The eerie sound sunken metal makes when you happen upon it at the bottom of the ocean really is like you hear it in movies. I felt like I was caving… floating through a ships hull, twisting my way effortlessly through its cabin. A metallic cavern covered with life, enchanting us with its sing-song music. And the sea welcomed my inquisitive nature. 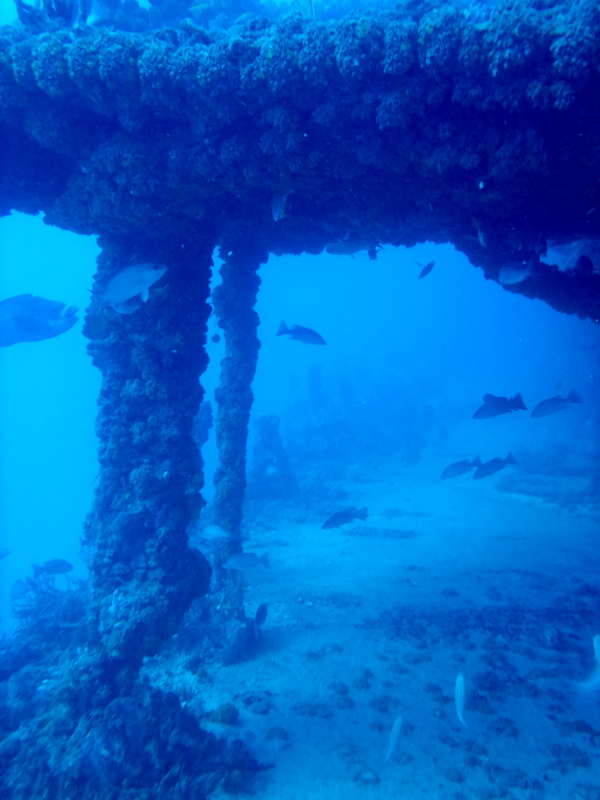 I recommend diving ship wrecks if diving in the keys at all. The reefs are not spectacular, but still good fun. The wrecks are a treat. We dove Spiegel Grove and the USS Duane. I liked both. We also did Molasses Reef and a few other reefs, but honestly, the wrecks are way cooler. Rainbow Reef Divers has an awesome dive location map if you’re curious about the sites. We didn’t dive with them but I’ve heard good things. I can personally recommend both Ocean Divers and Pirate Island Divers. 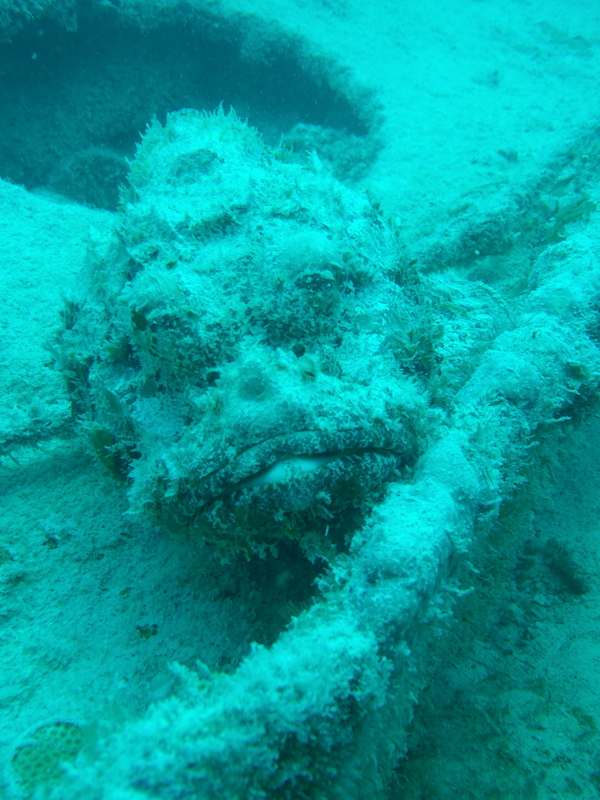 If you’re looking for an adventure in US waters; hop on a boat in Key Largo, and Dive a wreck.